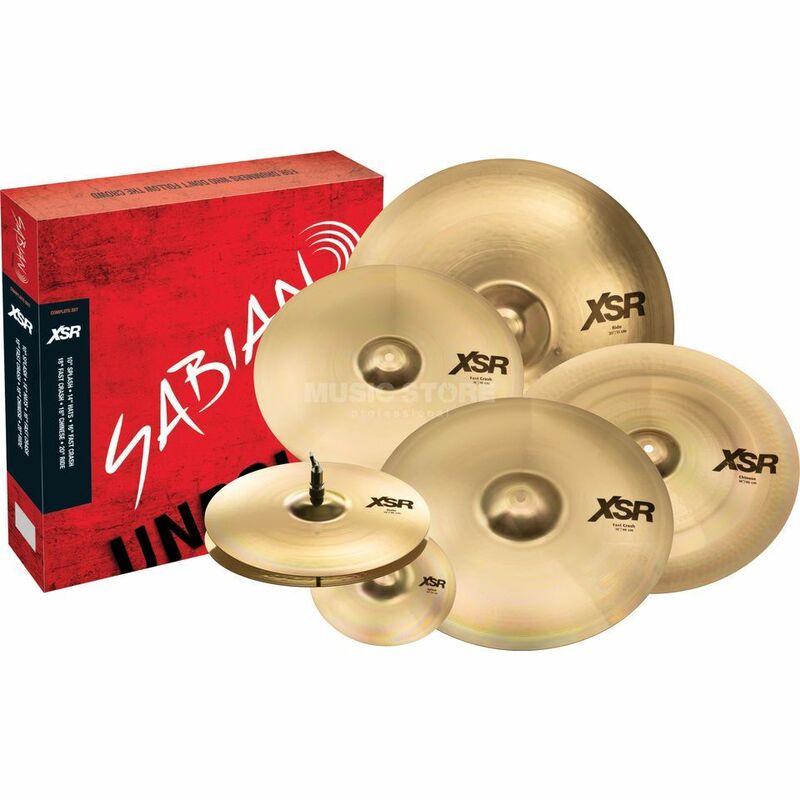 The new XSR series from Sabian offers an incomparably professional cymbal sound with a warm frequency mix and wonderful response at a price/performance ratio that simply inspires. Like all Sabian professional series, the XSR cymbals are turned and hammered with the same care as the much more expensive Sabian series. In contrast to the predecessor XS20, the tops and profiles have been redesigned and revised to make the sound rounder and to accelerate the response. Made of B20 bronze and refined with innovative manufacturing processes, the XSR cymbals are perfect for ambitious beginners, but also advanced users who are looking for a real, cheaper alternative to Sabian's X-Plosion and Evolution are in good hands here. Improved profiles and hammered crests give the riding pools an extremely tasteful balance of attack and openness. Thinner crashes produce a warm, noisy sound with extremely fast and defined response. The hihats are accurate and assertive with crisp clarity and strong accents.